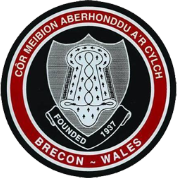 Brecon and its environs have always had a strong musical heritage, and in the vanguard of keeping this tradition alive is Côr Meibion Aberhonddu. The choir’s fortunes gradually declined and by the commencement of the 20th Century it had become a mixed ensemble still run by the Brecon Philharmonic Society. During the 1930s choir numbers dropped and the choir nearly collapsed altogether. However, in 1937 Aberhonddu Choir was refounded to the choir that we see today. Aberhonddu Choir gained a first-class reputation during the 1940’s under the guidance of Mr Alf Morgan and accompanist Nellie Probert, earning many successes on the eisteddfod circuit of South and Mid Wales. The highlight of this period of the choir’s history was its triumph in the 1946 National Eisteddfod at Mountain Ash, when it won the competition for male choirs of 30-50 voices. The test pieces were “Can Buddugoliaeth”, “Ar Hyd Y Nos” and “Llwyn Onn”, the first prize was £25. Unfortunately Aberhonddu Choir did not capitalise on this success, and fortunes fluctuated until the late 1950’s when Mrs Ogwen Thomas (music adviser to the county of Brecknock) was invited to become the choir’s musical director. Her efforts developed the foundation of what the choir has become today. On Ogwen Thomas’ retirement the baton was passed on to our current musical director Mrs Lynnette Thomas who had previously been accompanist to the choir for 15 years. Her appointment proved to be a wise one, and her enthusiasm and expertise has allowed the choir to develop as a capable singing unit with a comprehensive repertoire of popular male voice songs. Lyn has been with the choir for over 40 years and in 2018 Lyn received the British Empire Medal in the New Year’s Honours list for her services to the choir, music, education and the Welsh language. In 2011 an invite from the choirs of Bramming in Denmark saw us embark on a concert tour of the country singing at various locations including concerts at the cathedrals of Ribe, and Haderslaz. A year later saw the choir relocate to Brest in Brittany to spend a week performing at the prestigious “Festival of the Sea”. During 2012 the choir recorded the song “The Gift of Life”, the music and lyrics having been composed by two choir members, the proceeds of the sale of the CD were donated to organ donor charities. This gesture led to the choir being invited to perform the song at the opening ceremony of the “World Transplant Games” in Rochester Cathedral. Social evenings and trips away are also very important to the choir, where the Choir can let down their hair (or lack of it! ), get to know everyone and plenty of laughter. There have been weekend trips to Tenby, enjoying the sand between our toes and performing in a couple of concerts, and to Aberystwyth, travelling to Devil’s Bridge on the steam train and performing with our friends in Tregaron. 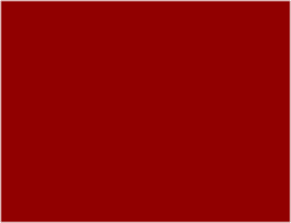 In 2017 Aberhonddu Choir returned to Denmark to participate in the fifth International Choir Festival in Ribe. Mention must also be made to our deputy musical director Lynne Griffin who has been with the choir for over 12 years and also has a well-deserved reputation as a very fine soprano. Aberhonddu Choir are still a busy and vibrant choir who are united by their love of singing together and sharing that joy with others. Drawing its members from both town and country the choir is always in demand both locally and abroad. Over the years we have seen the choir perform in the USA and across Europe. Whilst nearer to home the choir has sung at such diverse locations as village halls, barns, and churches, to cathedrals of Liverpool, Southwark, Worcester and St David’s. Not forgetting many appearances in the Principality Stadium, Royal Albert Hall and Cardiff Castle.